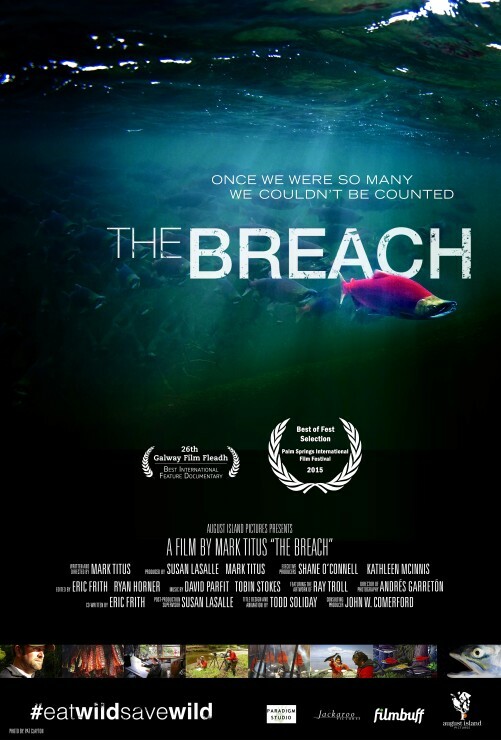 Mark Titus is director of the documentary film “The Breach,” about the decline of wild salmon and what must be done to protect the populations that remain. The film, which won Best International Documentary at the Galway Film Festival in Ireland last summer, is currently on tour in cities around the U.S., including Chicago, where it will be shown Sunday afternoon (May 3) at the Gene Siskel Film Center. 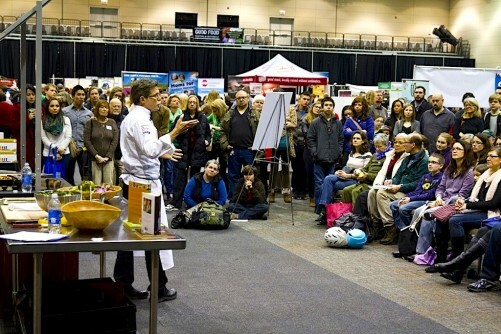 To learn more about the event — which includes a panel moderated by FamilyFarmed President Jim Slama — please click here. I wrote this piece during a recent flight on a plane at 32,000 feet over Nova Scotia. I had just watched the film “Interstellar” — a science fiction epic depicting a desperate search for humanity to find another planet to live on after we’ve exhausted our own food supply. The picture it painted was grim, though it did its job in making me contemplate the world we live in and will ultimately pass on to the next generation. Just over a month ago, I stood in the high school gymnasium in Dillingham, Alaska, and watched as Native elders lined up at a long table laden with dozens of dishes of wild salmon, prepared traditionally in dozens of ways. As is the custom, a blessing was spoken and the elders were first to go through the line to fill their plates. Watching them, you’d think this was the first time they’d seen these dishes. They dug in with delight and gratitude, because this is the food they love and this is the food that has sustained them and their ancestors for thousands of years. This was to be an evening to partake in this traditional feast — then watch “The Breach,” a documentary I directed over the past four years. The film is my best version of a love story for wild salmon, a creature revered in the Pacific Northwest and Alaska as icon, cultural center, and integral food source for thousands of years. Growing up in Washington state and fishing for salmon as often as I could, I watched their populations steadily decline over the years. I made this film in part because I wanted to find out why. What I discovered was a historical pattern of loss when wild salmon runs collided with growing human populations and were thus affected by the decisions people made. These decisions often came down to a choice between preserving the salmon runs or exploiting another resource at the salmons’ expense. This started in Europe centuries ago. The flight I was on was my return from the Jameson Dublin International Film Festival, where we were invited to screen “The Breach.” In Ireland, every single menu had salmon on it. Though what was advertised was not the salmon that ran up Ireland’s rivers for many thousands of years. It was all farmed. Ireland’s wild salmon as food supply has been gone for a very long time now. And this, as I came to learn while screening the film there, is one of Ireland’s deepest laments. This trend also spread across to the eastern shores of America and finally to the Pacific Northwest. I learned about great runs lost forever, people’s intense struggles to bring other seemingly lost runs back — and also about the last of the best runs. In Alaska. Most specifically, Bristol Bay. I fell in love with Alaska half-a-lifetime ago. At age 19, I landed a summer job at a salmon processing plant on the Wood River in Dillingham. I learned how to work here. And I started to learn how important hard work, self-reliance, and generosity are to Alaskans. 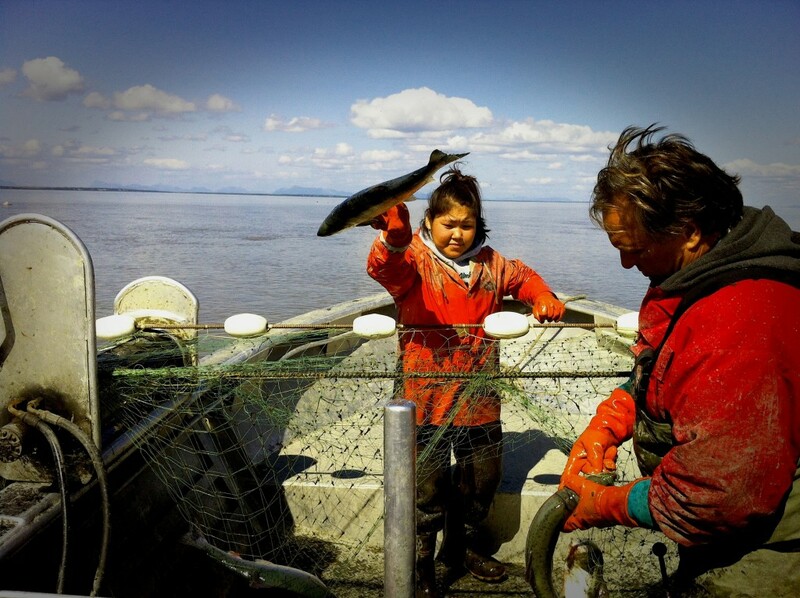 In all, I’d spend three seasons in Bristol Bay sending its treasure, wild sockeye salmon, out to feed the world. It would be 20 years later, after I filmed in the same place I used to work on the processing line, that I’d fully learn what this treasure means to the people of Bristol Bay, Alaska, and the world. After the journey of making this film, it felt time to finally come back to Alaska with the completed film. And I was humbled by its reception. In February, we screened in Anchorage, Juneau, Ketchikan, Fairbanks, Naknek, and Dillingham. Almost every screening was sold to capacity and I was greeted by unified audiences whose shared passion for salmon was the common language we spoke. This also is a time of deep concerns about the future of Alaska salmon. Despite setbacks over the past two years, the proposed Pebble mine in Bristol Bay continues to move forward in its efforts to enter the permitting process that would allow it to remove a vast ore body from the ground upstream of Bristol Bay. All along, as the claim has been explored, the developers have maintained they want the salmon of Bristol Bay to remain — and if they can’t prove they can mine safely so this can happen, they’ll walk away from the deposit. After all the research that went into “The Breach” and learning about the familiar pattern human beings have continued over the centuries when it comes to choosing between saving wild salmon as a resource or continuing with resource extraction projects despite the risk to wild salmon, I was skeptical of Pebble’s claims to walk away if the salmon are wanted by the people of Bristol Bay and Alaska more than the benefits of extracting an ore body from the ground. I wanted to ask proponents of the mine about this, but was never granted an interview. Time and again in the Pacific Northwest, 90 percent of citizens say they will vote to help protect and restore our crippled wild salmon runs. Trouble is, down here, to a large extent, the damage is done. Historically massive overfishing practices, rampant clearcut logging, and the damming of salmon rivers did most of the job. Hatcheries that were designed to try to rebuild lost runs only added to their decline. Now we have foreign Atlantic salmon farms in Canada just to the north further harming remnant wild runs. Alaska is different. 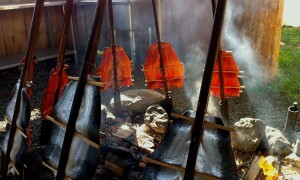 Statehood in 1959 brought with it protection of wild salmon as a resource in Alaska’s constitution. Alaska still has a chance to get it right. Nowhere is this more evident than in the bounty of Bristol Bay, providing 14,000 jobs each year through its salmon fishery, to the tune of $1.5 billion to the U.S. economy. The natural cycles of salmon ebb and flow with weather and ocean conditions, but Bristol Bay consistently averages 30 million to 60 million wild sockeye salmon returning to its rivers each summer. This year, the expected run is predicted at north of 50 million. Perhaps this is why 65 percent of Alaskans voted for the state of Alaska to have a say in what happens with regard to mining in Bristol Bay, approving Ballot Measure 4 in November 2014. Eighty percent of Bristol Bay residents, when polled, have indicated they don’t want a giant low-grade copper mine in their watershed because they aren’t convinced it won’t cause irreparable harm to the one resource they know they can depend on forever, if taken care of: wild salmon. As I entered into American air space, I dwelled on the fact that most people I speak with in the Lower 48 don’t know where or what Bristol Bay is. They certainly don’t know about the conflict between defenders of its salmon runs and a copper mine owned by a Canadian mining corporation. 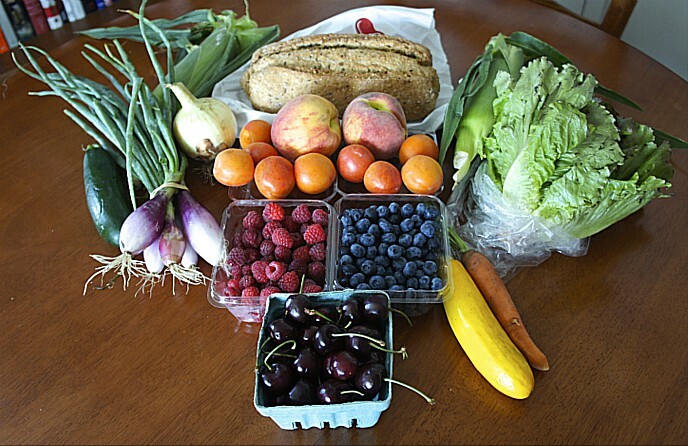 Right now, unlike the fictional movie “Interstellar,” we still have a semblance of a working food supply in this nation and the world. The question is, what kind of decisions will we make as a society while we still have it? 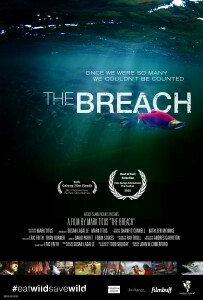 We will be screening “The Breach” throughout the United States over the next two months. I intend to ask this question along the way. This entry was posted in Fish, Food documentaries, Seafood, Sustainable seafood and tagged FamilyFarmed, fish, food documentaries, Good Food movement, Native Alaskans, salmon, salmon conservation, sustainable fisheries, Sustainable seafood, The Breach documentary film, wild salmon. Bookmark the permalink.